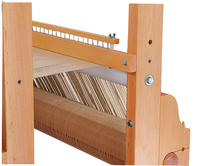 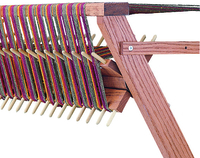 The Cranbrook Loom is widely considered to be the finest Countermarche loom available today. 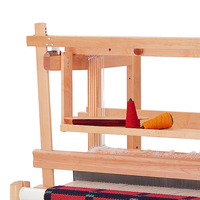 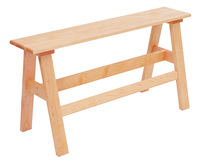 This Scandinavian-style loom has mortise-and-tenon construction, powder-coated breast and rear beams, treadle locks, and a fully adjustable overhead beater. 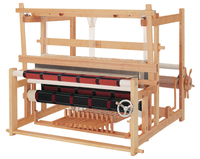 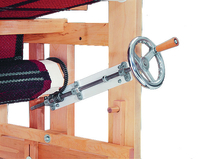 A countermarche loom is a balanced system of rising and sinking shafts.